Rent this Selva with capacity for 6 people available in San Antonio. 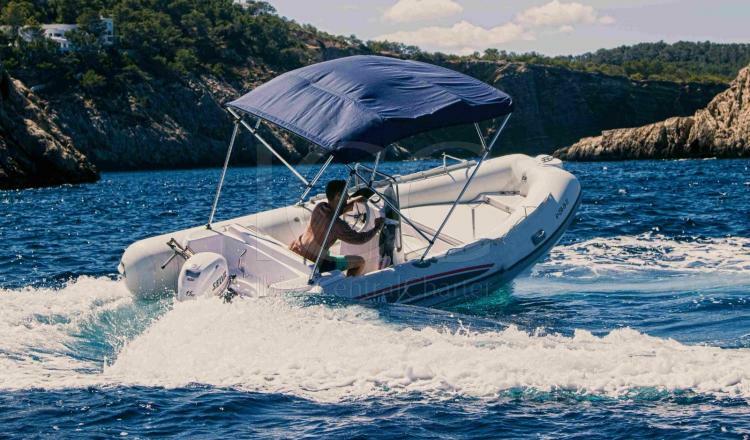 This Selva D470 is one of the best options to discover the beaches of Ibiza and Formentera and enjoy a day of sun and beach jutno to your friends or family. Semi-rigid boat of Italian manufacture of 4.7 m in length and 40 hp engine. The front solarium is very spacious and allows 4 people to lie comfortably in the sun. The boat has ice fridge and speaker with USB and bluetooth connection. The sun awning can be extended or picked up as needed. The reduced weight of this boat makes it surprisingly fast on the water, with two people on board having a tip of 20 knots (37 km / h). Its consumption is very small, a typical day of navigation is approximately 25-30 liters. 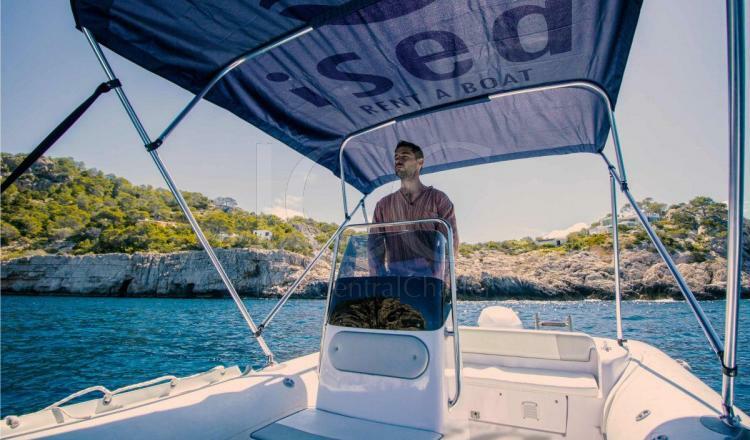 It is an ideal boat to depart from San Antonio and visit the west coast of Ibiza (Cala Salada, Cala Conta, Tarida, Vadella and the wonderful area of ​​Es Vedrá). 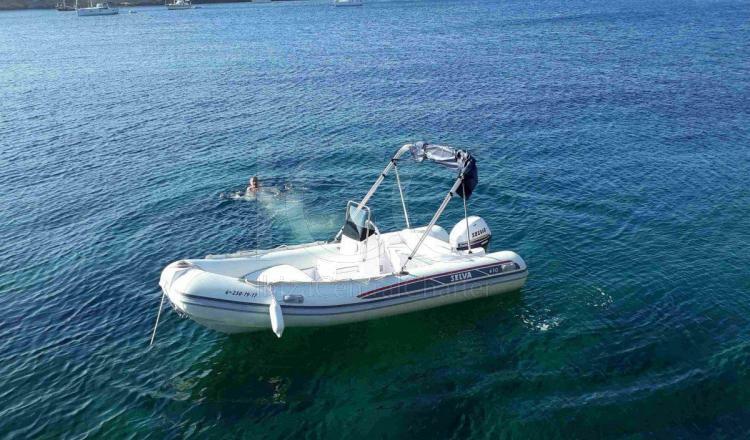 Thanks to its good buoyancy it sails very well, even on days when there is some swell. 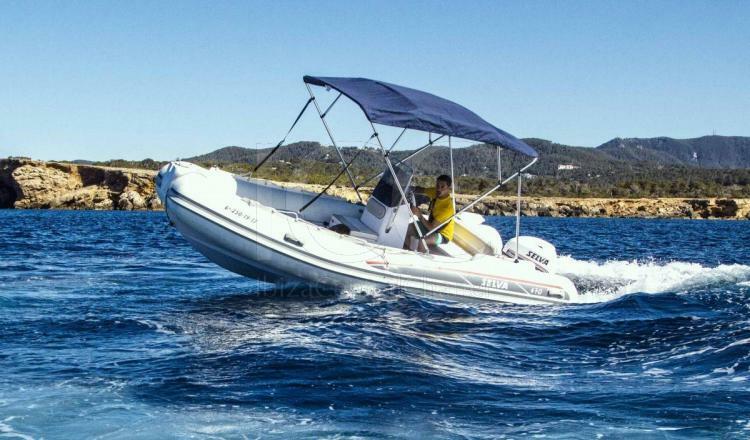 It has no reach to reach Formentera, for this it is necessary to rent our forest of 115 hp. 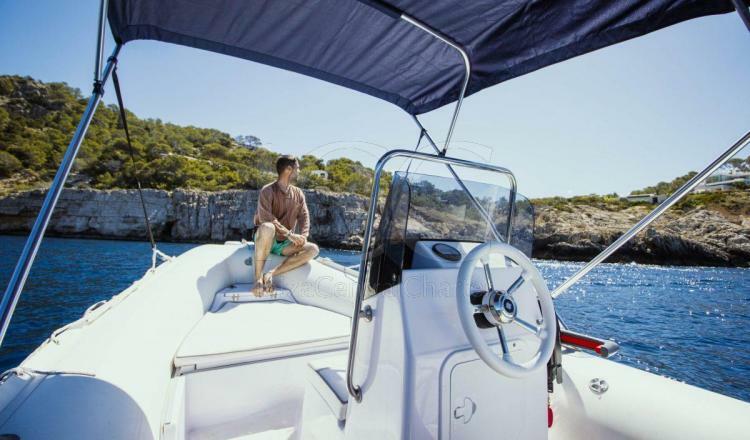 It is a great option for those with experience in sailing who are looking for a day at sea without having to invest a lot of budget of their vacations in a larger or more powerful boat. We have adjusted its price to 340 euros to make it available to everyone. Try it, you will not be disappointed. It is reserved for full day and for half a day. Special offers for more than one day of navigation. - Large sundeck at the bow to enjoy the sun and the views. - MP3 radio with USB and Bluetooth reader.